An old track and some new equipment proved to be a winning combination for Lael Stables' homebred No Dozing, who was able to overcome an awkward break, an off track and a formidable challenge on the far turn to capture Saturday's $75,000 Concern at Laurel Park. The seven-furlong Concern for 3-year-olds is named for Robert E. Meyerhoff's Maryland-bred multi-millionaire whose four career graded stakes wins for late trainer Dickie Small included the 1994 Breeders' Cup Classic (G1) and 1995 Californian (G1). Trained by Fair Hill-based Arnaud Delacour, No Dozing ($3.60) had not reached the winner's circle in six tries after an entry-level optional claiming allowance victory last September, his only previous trip to Laurel. It was also the last time the son of 2012 Belmont Stakes (G1) winner Union Rags had raced shorter than a mile. Heavily favored at 1-2 and fitted with blinkers for the first time, No Dozing was rushed up to the lead from his rail post by jockey Daniel Centeno and was in front after going a quarter-mile in 23.14 seconds while pressed by Honor the Fleet to his outside. The top two entered the far turn together where Honor the Fleet appeared to stick a head in front following a half in 45.89. Honor the Fleet looked poised to spring an upset as the leaders straightened for home but Centeno set No Dozing down for the drive and he sprinted clear down the stretch to win by four lengths in 1:22.85 over a muddy and sealed main track. Two-time stakes winner Proforma was third and Alex Again fourth. 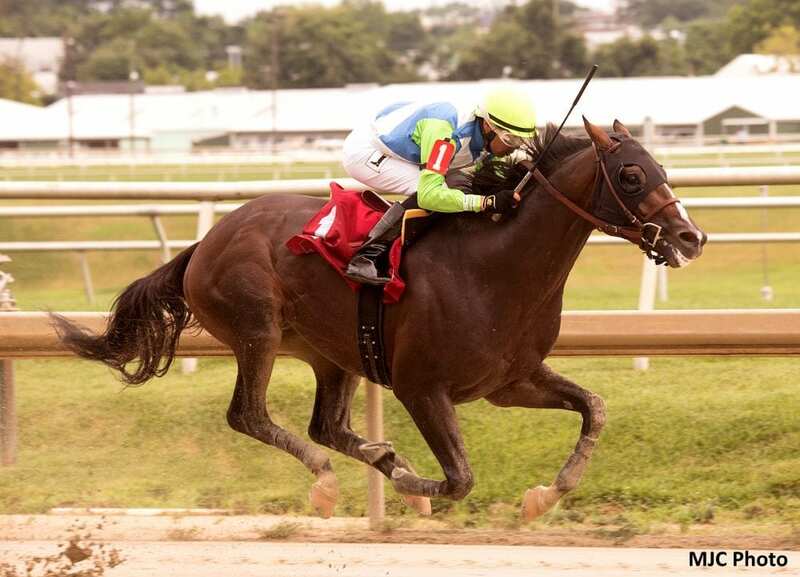 This entry was posted in Racing and tagged arnaud delacour, concern stakes, daniel centeno, lael stables, laurel, laurel park, no dozing, Union Rags by Press Release. Bookmark the permalink.